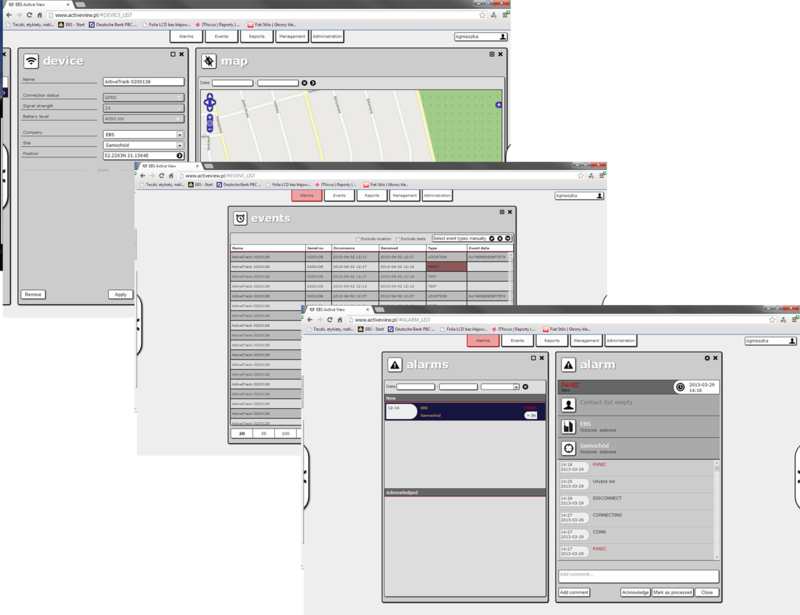 Active View is a web-based management portal that facilitates the rapid deployment of Active Track. Once you have an account then you can start managing your clients. You can configure your Active Track Devices, the staff who use them and the companies and sites they serve. The “Man Down” operational parameters are configured prior to despatch and define what conditions result in a Man Down alarm and identifies the mobile telephone that is to receive SMS alarm messages and is typically a mobile phone located in a security control room. Active View monitors all of the events and alarm messages generated by each Active Track device in real time. An email notification capability allows alarm messages to be forwarded to management for immediately action. Active Track’s ability to read RFID Tags (Checkpoints) also opens numerous ‘Proof of Presence’ applications. This would enable a checkpoint read or sequence of checkpoint reads to be used to confirm that a staff member has attended site, if a patrol has been completed correctly, if certain areas have been cleaned regularly or if maintenance checks have been performed. The options are truly numerous. An integrated report generator is available to analyse stored information that is held within the system. A report scheduler can also be used to send reports to management or clients automatically on a daily, weekly, monthly or quarterly basis. No IT infrastructure or Static Public IP address needed. Real-time monitoring including connection status, battery level indication and GSM signal strength. Map Preview showing Active Track’s current and historical position. Preview current GPS position on Google Maps. SMS and Email notifications of alarms. Powerful report generator for management reports in csv format. Import and export functionality to and from Active View. Visual and audio notification of new alarms. Workforce details – information of guards currently on duty. Employee identification by RFID cards (right person/ right place/ right time).